How many insects in one day? 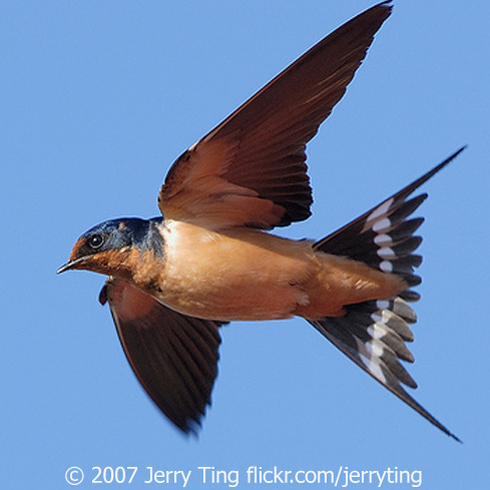 Roughly 99% of a swallow's diet is flying insects. They gulp down millions of flies, mosquitoes, and agricultural pests, in the course of feeding themselves and their young. 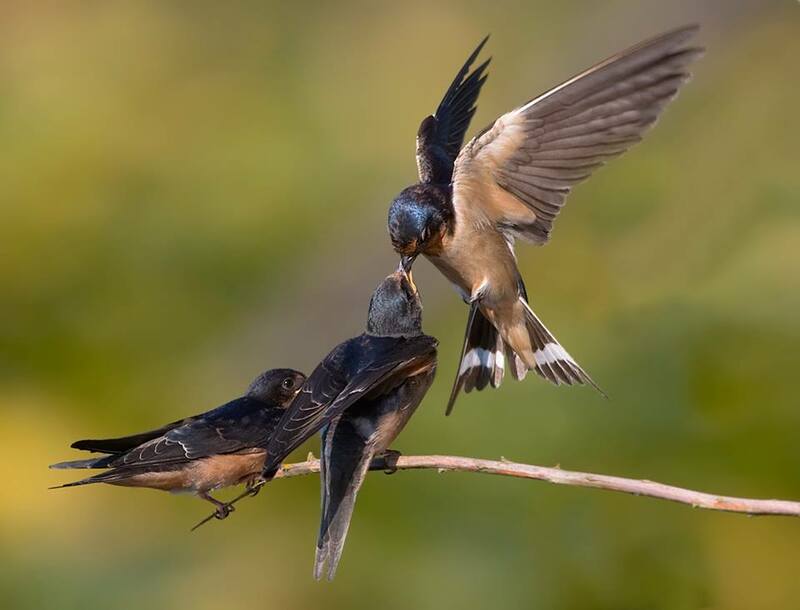 The world population of Barn Swallows is estimated to be 190 million. If each ate just 350 insects per day, that would mean more than 65 billion insects consumed in one day. That's a lot of swallows! 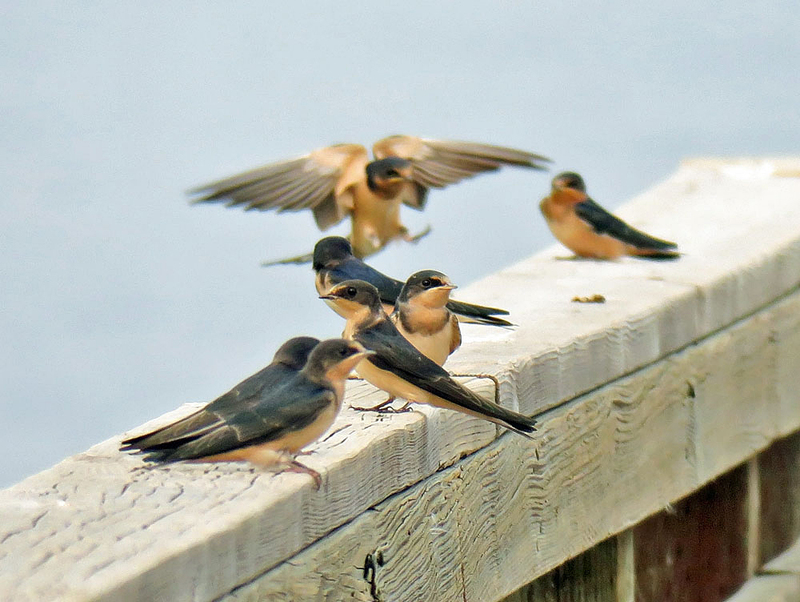 Here's a video of Barn Swallows feeding their young. Remember the rhyme: “How much wood would a woodchuck chuck, if a woodchuck could chuck wood?”? The woodchuck question has inspired many clever answers. But, truth be told, woodchucks – which are super-sized ground squirrels – don’t chuck wood at all. Just imagine what it might be like without the swallows! Audio provided by The Macaulay Library at the Cornell Lab of Ornithology, Ithaca, New York. Call of the Barn Swallow recorded by G.A. Keller. Flying insect audio by G.F. Budney.